This simple set gives you anoter option in decorating your hoods. 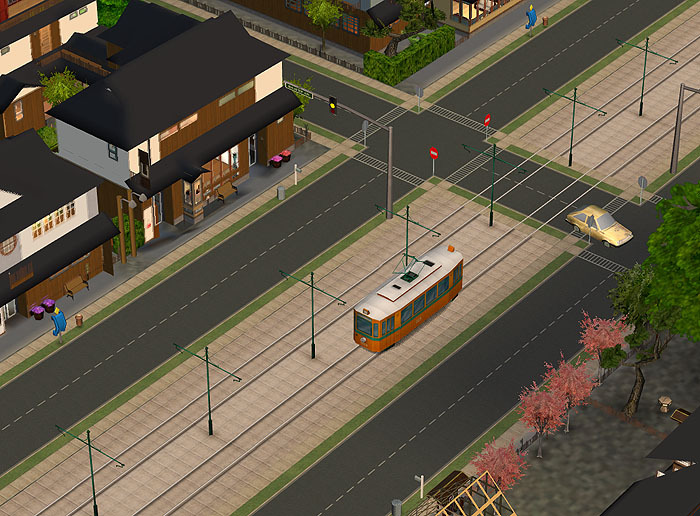 Now using these custom hood decorations, you can add a tramline to your town, or community, or whatever! 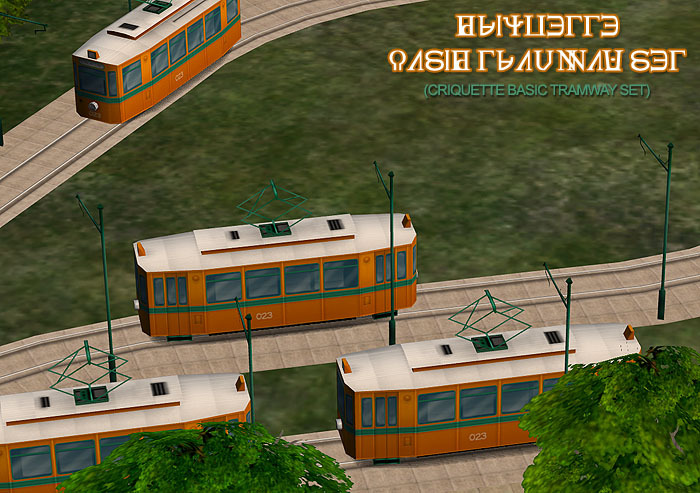 As the Decorative Road Pieces Set, this tramway set is mostly for advanced simmers, with some kind of experience on making custom neighborhoods and using of neighborhood camera modds. 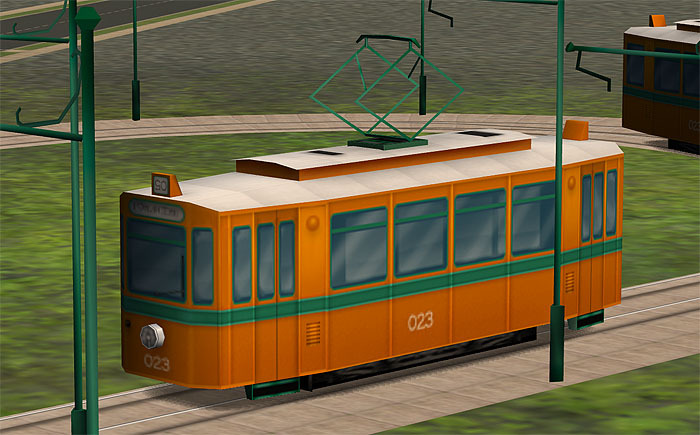 It is highly recommended to have a Free Time EP installed, to be able to edit exiting terrain, for better use of this set. 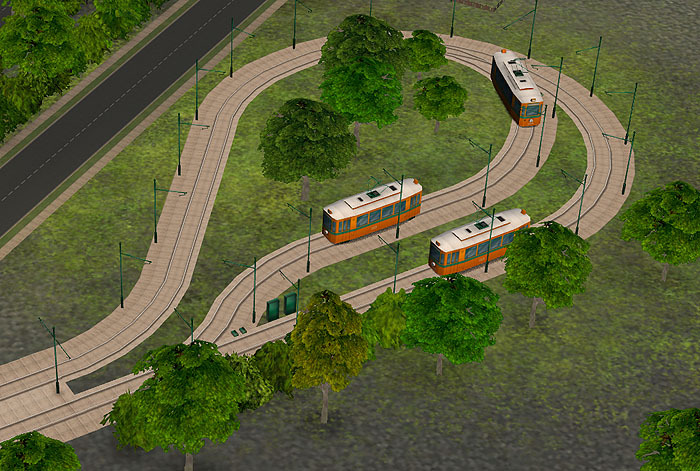 Because of it was created for totally flat terrain, it may look bad on any kind of hills, mountains and terrain slopes – please keep this in mind when you will work on a decorative tramway in your neighborhood. 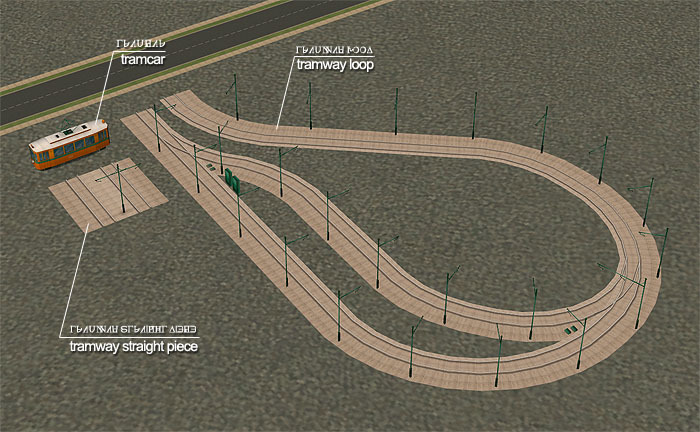 You will also need a lot of patience and some experience during tramline construction, since there is no snapping to grid in neighborhood mode and the length of tramline piece is about one ‘hood tile. As allways BIG thanks to the community!